Hey kids, there’s good news! 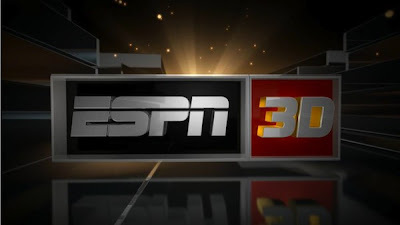 For the second straight year, ACC Football will be heavily featured by ESPN in its three dimensional telecasts of college football. The network has announced that a minimum of five ACC games will be televised on ESPN 3-D this fall, beginning with Maryland hosting Miami on Labor Day Monday Night at Capital One Field at Byrd Stadium in College Park, Md. The game between the Terrapins and Hurricanes, features the ACC debut of new head coaches Randy Edsall of Maryland and Al Golden of Miami, will have an 8 p.m. (ET) Kickoff. Needless to say Golden’s Hurricane’s are currently of great interest. Other 3D games are: N.C. State at Cincinnati Thursday, Sept. 22, Virginia at Miami October 27, North Carolina at Virginia Tech November 17 and the Dr. Pepper Bowl (ACC Football Championship Game) December 3 in Charlotte.